See the Storify on the social media reactions to the day’s events. David Saunders is an associate curator in the antiquities department at the J. Paul Getty Museum, and curated the exhibition Dangerous Perfection: Funerary Vases from Southern Italy. He did his doctorate on the depiction of dead and dying figures on Greek vases, and continues to be interested in the iconography of the wounded and deceased. Sarah Troop is a museum curator and historian who writes and recreates historical and cultural recipes for her blog, Nourishing Death, which examines the relationship between food and death in rituals, culture, religion and society. She is a member of the Order of the Good Death and serves as social media editor for Death Salon. Lisa C. Pieraccini is a specialist in the material culture of the Etruscans and early Romans. Pieraccini received her Ph.D. from the University of California, Santa Barbara in art history and classical archaeology, and she lived in Rome for many years where she taught and conducted research at the Etruscan site of Cerveteri. She now teaches in the classics department at the University of California, Berkeley. Her research interests include Etruscan pottery, funerary archaeology, craft connectivity, Etruscan and Roman wall painting and the reception of the Etruscans in the 18th and 19th centuries. Jonathan Gold is the restaurant critic for the Los Angeles Times and is known as the belly of Los Angeles. He is the only food writer to earn a Pulitzer Prize, and is the subject of the new documentary City of Gold which recently premiered at the Sundance Film Festival. The Mynabirds is the solo project of singer-songwriter Laura Burhenn, who has also toured as part of The Postal Service and Bright Eyes. Originally from Washington D.C. with a long stint in Omaha, Nebraska, she now calls the Echo Park neighborhood of Los Angeles home. Her third album on Saddle Creek Records, Lovers Know, will be released summer 2015. 1:30 Performance Description: The Mynabirds will perform a selection of original songs about loss and love in an intimate solo performance of voice and piano. Josh Androsky is a Los Angeles comedian and writer. Josh is a writer for SpongeBob SquarePants. He has performed at SF Sketchfest, Hell Yes Fest, Fun Fun Fun Fest, Crom Fest, appeared on This American Life, SyFy’s Sharkmania, and contributes to VICE. Megan Rosenbloom is co-founder and director of Death Salon and an Order of the Good Death member. Megan is a medical librarian at the University of Southern California with a special interest in the history of medicine and rare books. She serves as the resident talking death head on The Death Pod podcast. Megan Amram is a Harvard grad, one of Forbes’ “30 Under 30 in Hollywood & Entertainment,” Rolling Stone’s “25 Funniest People on Twitter,” writer for the hit shows Parks and Recreation and Kroll Show, and author of the satirical book Science for Her. The comedian shares her blend of silly, surreal and sometimes dark humor with her more than 450,000 Twitter followers. Solomon Georgio is a finalist of NBC’s Stand Up for Diversity, a regular performer at the Bumbershoot Music & Arts Festival (Seattle, WA) and the Bridgetown Comedy Festival (Portland, OR), and most recently had his television debut on CONAN. Marie Svoboda received her M.A. in objects conservation from the State University of New York, College at Buffalo in 1994. Her postgraduate experience was mainly with archaeological material focusing on ancient Egyptian artifacts during her 7 years at the Museum of Fine Arts, Boston. Marie joined the antiquities conservation department at the J. Paul Getty Museum as an associate conservator in 2003 working with the ancient Greek and Roman material as well as their small but exceptional Romano-Egyptian collection. Marie is a co-author of the publication Herakleides: A Portrait Mummy from Roman Egypt. Eric Bruehl is an educator for the J. Paul Getty Museum/Getty Villa since 2005. He received his M.A. in archaeology from the University of California, Los Angeles and has a deep interest in the world of the Roman dead. He has taught courses at the Getty Villa on ancient comedy outside of theater, the intersection of death and humor in antiquity, and the rich imagery on Roman sarcophagi. He looks forward to a future course exploring the role of wine and spirits in ancient funerary ritual. Paul Koudounaris has a Ph.D. in art history from the University of California, Los Angeles and specializes in the visual culture of death. Based in Los Angeles, he is the author and photographer of the award winning books The Empire of Death and Heavenly Bodies, the former a history of charnel houses and the latter a study of Baroque-era jeweled skeletons. His third book, Memento Mori, will be released in the USA in April 2015. Caitlin Doughty is a licensed mortician and the host and creator of the Ask a Mortician web series. She founded the death acceptance collective The Order of the Good Death and cofounded Death Salon. Her first book, Smoke Gets in Your Eyes: & Other Lessons From the Crematory, was a New York Times bestseller. Judy Melinek, M.D. is a forensic pathologist who works for the Alameda County Coroner and as an associate professor at the University of California, San Francisco Medical Center. She coauthored the New York Times Bestseller Working Stiff: Two Years, 262 Bodies, and the Making of a Medical Examiner with her husband, T.J. Mitchell. They live in San Francisco. 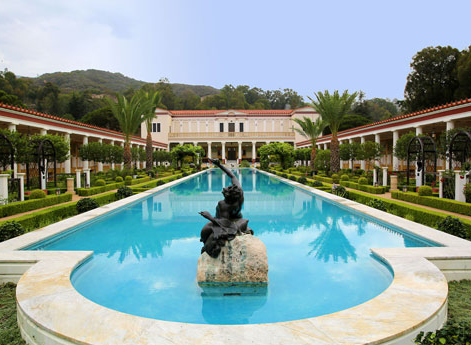 5:30 – 7 The day ends with a reception on the beautiful Getty Villa grounds.